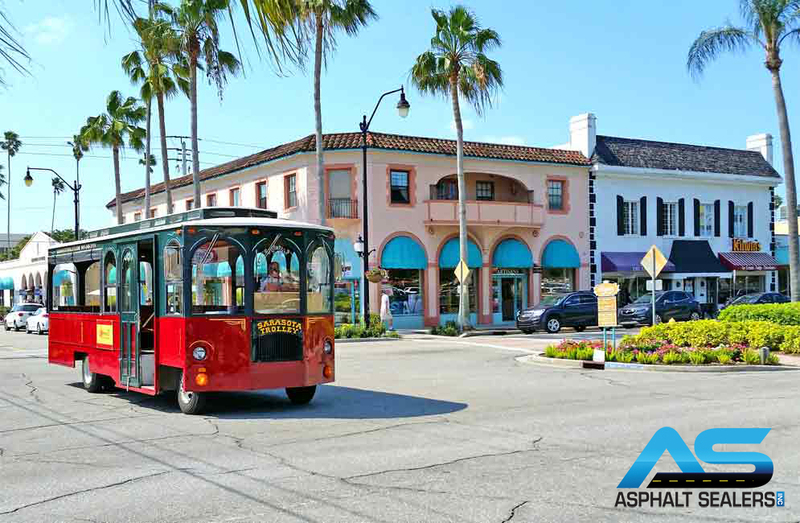 Asphalt Sealers Venice FL, operate in the beautiful area Known as the Shark Tooth capital of the world, Venice, Florida, is an amazing holiday location. It is where the snowbirds from cooler parts of America migrate to. Home to exotic beaches, Venice offers a perfect blend of history, culture, and arts to the residents and visitors. If you are having some guests over in Venice, make sure you get your asphalt parking lot checked. Exposed to heat and moisture, Asphalt gets damaged and gives your place a shabby look. Following are a few reasons why you need to get your asphalt checked by Asphalt Sealers inc.
For business owners throughout venice fl, the clients always come first. If you want to attract more clients, you have to make your business premises appealing by improving various areas such as the parking lot. If your asphalt parking lot has potholes and cracks, it will likely turn the clients away. And before you realize that, you will have lost a significant amount of business. Just because you are using the property for a commercial purpose doesn’t mean that you won’t sell it in the future. The potholes and cracks in your asphalt parking lot will depreciate the value of your property. The best thing that you can do in order to take care of the asphalt potholes and cracks is to conduct periodic checks. Keep a keen eye on the quality of your asphalt parking lot. Get this done and you won’t have to worry about your property value depreciating. One of the major downsides of not conducting periodic checks on asphalt is that it gets worse with time. The potholes and cracks tend to expand if they’re not treated properly. Changing weather conditions and constant flow of traffic will weaken the asphalt surface. Getting the asphalt parking lot replaced completely is a long and expensive process. In order to avoid the hassle that might just occur, you need to take the right decisions at the right time. The best thing that you can do to maintain the asphalt is to get it seal-coated. Asphalt seal-coating keeps your parking lot safe from the harmful weather conditions. It also protects the asphalt from the ultraviolet rays of the sun that weaken the asphalt during the hot summer afternoons. Get your parking lot seal-coated during the night so it will be ready for use by the next morning. If you are looking for assistance regarding asphalt seal-coating, feel free to let us know.